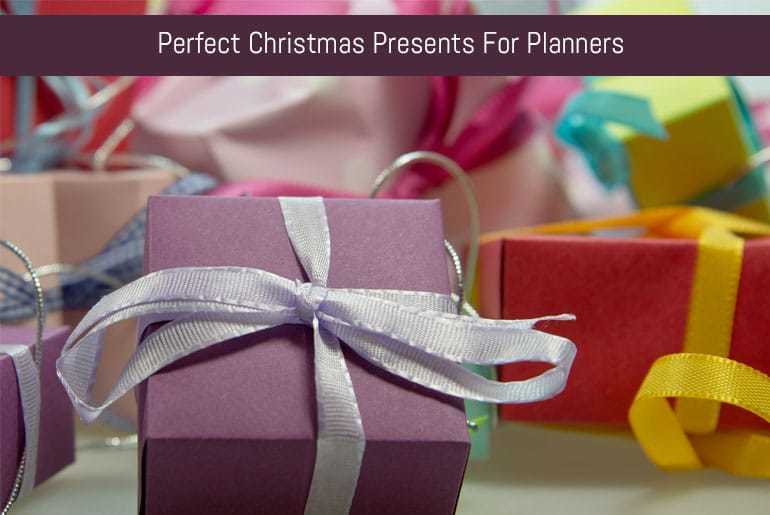 It’s getting to that time of year when you ask someone what they want for Christmas and the reply is “I don’t know!” so I thought I would help you out with some ideas for the planners in your life. If you don’t know your Bullet Journal from your Happy Planner then this Christmas gift guide for the Bujoer or Happy Planner in your life is for you. Note that this post contains some affiliate links, these are marked with an asterisk (*) – you won’t be charged any extra for using these links, however I will get a small commission on any purchase you make which I put back into the running of the website. Right, that’s the legal bit out of the way! Check out my list of presents I out together in 2015 if you have a productivity guru or procrastinator in your life. I’ve linked to the “Dotted” versions of these notebooks where available as that seems to be the style of choice for Bullet Journallers, however the majority of them also have plain, lined and grid versions too. There are loads of colours available in the Leuchtturm range but I don’t think you can go wrong with a classic black dotted notebook. This is the current rival to the Leuchtturm and whilst a bit more expensive does have people raving about the quality of the paper and lesser amount of ghosting. This is available cheaper on the Amazon site than it is on the Nomatic site at the moment. It’s a lined, blank and perforated page notebook that opens flat to allow you to use more of the page. There’s also an undated planner* available too. I’ve been using a Happy Planner for the past 9 months now and I love how flexible the discbound system is. “Me And My Big Ideas”, the company behind the Happy Planner has just released some new smaller sized Mini planners, some Snap-In Covers and has both dated and undated planners – keep an eye on what you’re buying: You may think you’re getting a bit of a bargain Happy Planner on Amazon* but as it’s an 18 months dated version you can’t use 6 months of the pages which is a bit of a waste (you can get date cover stickers though so it’s not too bad. There are so many variations with this planner it can be a little overwhelming to decide what to choose! This spiral bound planner is available in a variety of sizes and formats – there’s even one designed for teachers too. With all the interest in Happy and Erin Condren planner’s it’s often easy to overlook the humble Filofax, the daddy of all planners. It’s available in a variety of colour choices and materials and the ring-bound system allows you to be flexible with the contents. Websters have a similar ring bound planner to Filofax but also have additional offerings from travellers notebooks to photo sleeves. No planner is complete with some decent pens – and they’re especially important for bullet journallers! I’ve just recently discovered Lamy fountain pens. I used to write with a fountain pen all the time when I was in school but fell off the bandwagon when I started working in offices. These pens are a reasonable price, write really well (I’ve only tried the medium nib so far) and come in a great range of colours (I have the blue and Apple Green* and am planning to get a few more for different ink colours – it’s a nightmare trying to swap colours in a fountain pen so I would highly recommend getting a couple if you plan to use more than one colour! These pens are great for delicate lines and drawing in a bujo. You need to keep an eye out though as there are so many different size and colour sets so make sure you’re getting a good bargain! I haven’t used these pens personally (I went for a cheaper version and kind of regret it now) but the guys in my Bullet Journalling groups rave about these. If the person you’re buying a gift for is into lettering and penmanship, I don’t think you could go wrong with these. Probably more for the crafter in your life, these pens will add a touch of glam to any project (just watch the ghosting though). This was one of the “Must Haves” on a post I put up asking what all planners should have. The size is perfect for bullet journalling (there is a longer one available* if you have a bigger planner) and the cork backing stops the ruler slipping in the page – which is a problem I can tell you! I recently bought a Happy Planner Punch which is great for punching the odd couple of pages but it does struggle with more than a couple of pages, doesn’t like cardboard too much and can’t punch laminate at all. For an extra $10 or so dollars, I’d highly recommend the Arc Punch* which has handled pretty much everything I’ve thrown at it so far. I’ve just got myself one of these and it’s so handy for keeping all my journalling stuff together. Before I would have to lug in from one room to another dropping stuff all over the place, now it’s all together in one place and I can move it easily. Are You A Planner Or A Bujoer?